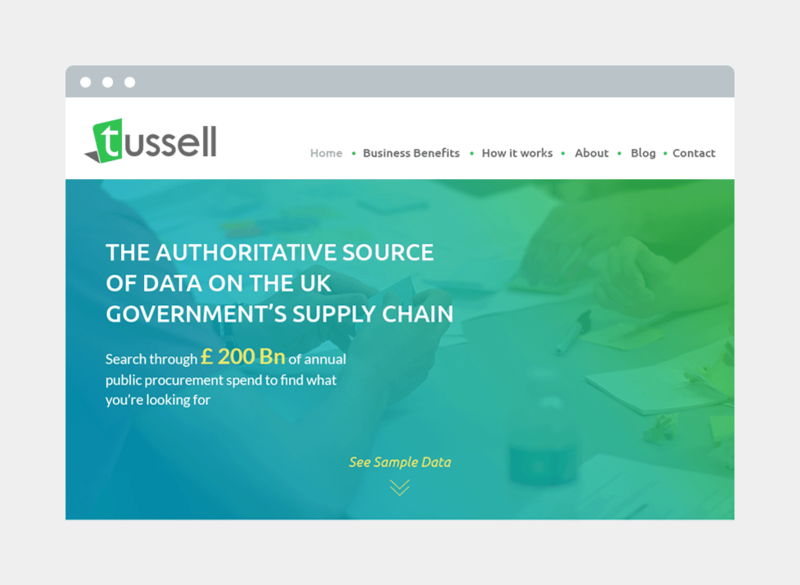 Tussell is a data analytics start-up that analyses UK government data relating to the public procurement of services. The subsequent reports contain information that highlights which companies have been awarded new public contracts. The businesses that buy the reports are then able to effectively target these companies. 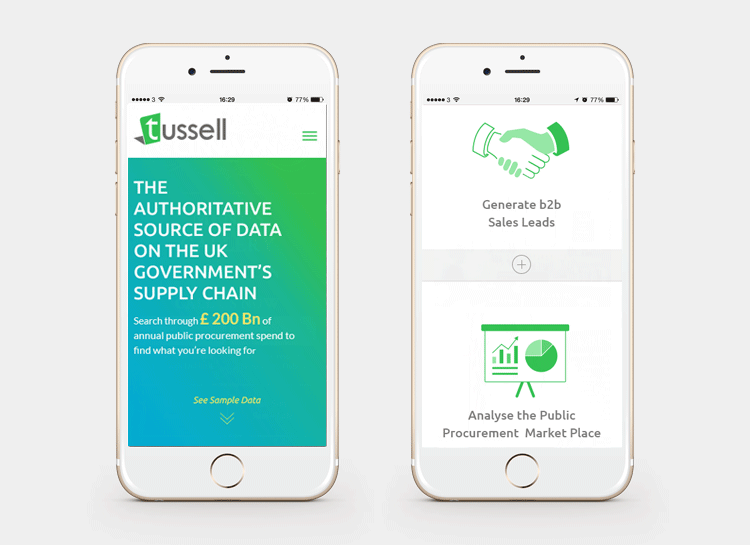 The exSite team needed to make a website that was able to display complex information in a logical way that compels site visitors to sign in as members of Tussell’s proprietary service. exSite also designed a variety of interactive graphic images to bring to life information that highlights the benefits of its service.